A great way to make an impression with an important client is by hiring a Denver limo company that has the Cadillac XTS in its fleet. Although the limo service in Denver may offer other vehicles, you can never go wrong with this particular make and model. 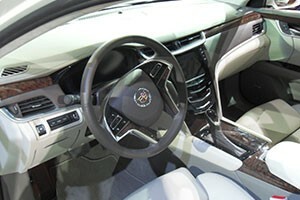 The Cadillac XTS offers superior comfort and a refined experience. By choosing the Cadillac XTS from a trusted Denver limo company, you get the best. This vehicle has a sophisticated exterior coupled with a luxurious interior. Whether having the limo service in Denver pick the client up at the airport or meet both of you at the hotel, you can spend the time being driven to your destination relaxing and visiting or, thanks to modern amenities, conducting business. Following are a few examples of the primary amenities associated with the Cadillac XTS. Spacious Interior—Because the interior of the XTS has so much room, you can easily lay out documents while discussing business. Of course having extra space is also ideal when picking up additional executives. Elegant Design—Literally every aspect of the Cadillac XTS is elegantly designed, including indulgent seats with pressure mapping technology, brushed metal detailing, and state-of-the-art amenities. A top-rated limo service in Denver also offers optimal comfort for the chauffeur with amenities like 22-way adjustable seats and heated steering wheel. Having a more comfortable chauffeur means your overall experience as the passenger is better. Impeccable Crafting—The Cadillac XTS is also crafted to perfection. Within the interior, you will find superior detailing with grained woods, brushed metals, and leather accents. Unrivaled Elegance—From every angle, the XTS is exceptional. This vehicle is designed with cast-aluminum wheels, long flowing lines, brilliant High Intensity Discharge headlamps, a streamlined grille, and more. Safety First—A top-rated Denver limo company worries about comfort, but even more so, safety. By choosing the Cadillac XTS from the fleet, you will arrive at your designated location in a safe manner. This vehicle boasts crumple zones that are strategically placed for cushion in the event of an accident, multiple airbags, and even a high-strength, steel-alloy safety cage. For the chauffeur, this vehicle has unique safety-alert seats that vibrate to the left, right, or both sides as an alert of possible risk in the respective direction. Without question, the Cadillac XTS is a full-size luxury sedan in a class of its own. With more room and upgraded amenities, this is the vehicle to impress. As a business executive, you want to hire the best by choosing a reputable limousine company that offers the XTS as part of its fleet.